We strive to create a safe, fun and fulfilling place to work. We strongly encourage and embrace a culture of team spirit, personal development, communication, co-operation and mutual respect. From this we breed excellence; innovative thinking and results orientated teams that help us deliver an environment of continuous improvement. Charity initiatives are a really important part of our culture. In 2016, after an incredible three years of fundraising, the team at Home Décor raised over £26,000 – enough to sponsor a private bedroom in the new wing of Sheffield Children’s Hospital. 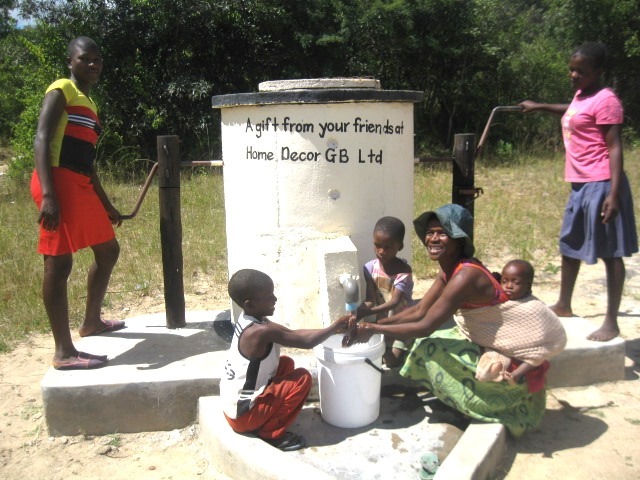 Through our partnership with AquAid we have recently helped fund the building of an Elephant Pump in Manicaland in the north eastern highlands of Zimbabwe. In January 2017 Home Decor adopted Cancer Research UK as our chosen charity for the next two years. Over the next 24 months staff across our business will be getting involved in a range of exciting fundraising initiatives as we look to raise money for the great work Cancer Research UK is doing to beat cancer sooner.